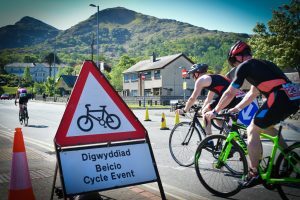 Records Broken as Sun Shines on Warmest Ever Slateman Triathlon, Llanberis 2018 | News by Wales Express News, People Before Profit! 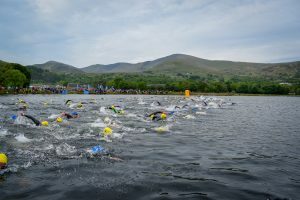 The eighth edition of the Slateman Triathlon, Llanberis, was a record breaking race, with an eight year high for water temperatures, weather and race times. 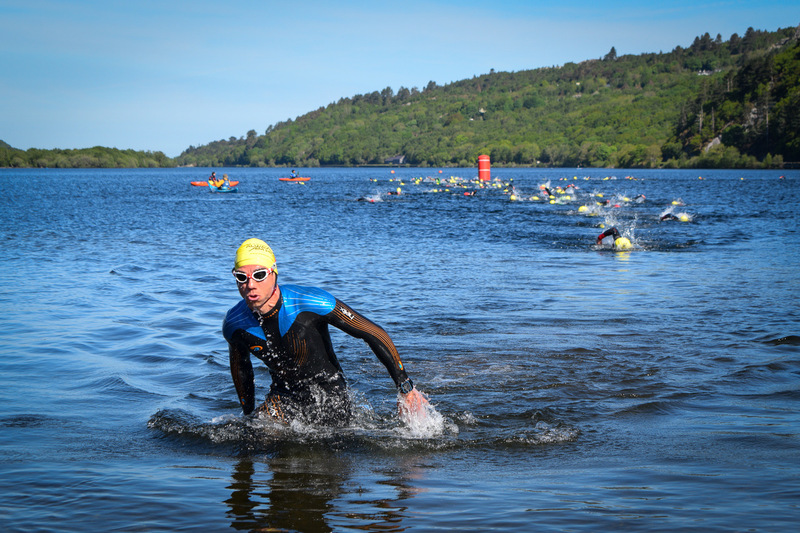 With over 1,200 triathletes taking part across the two days the Pedalcover Slateman opened Always Aim High’s ‘2018 SUUNTO Adventure Triathlon Series’, a trio of Adventure Triathlons based in North Wales. Slateman Saturday consists of the shorter races of the weekend. With the first day of the multi day Savage Race and the Sprint Triathlon. 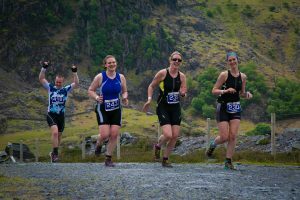 New for this year, a sprint duathlon was added alongside the Sprint which added to the racing and delivered both in terms of challenging terrain and competitive racing. As sprint races go, the Slateman course is one of the tougher on the calendar. 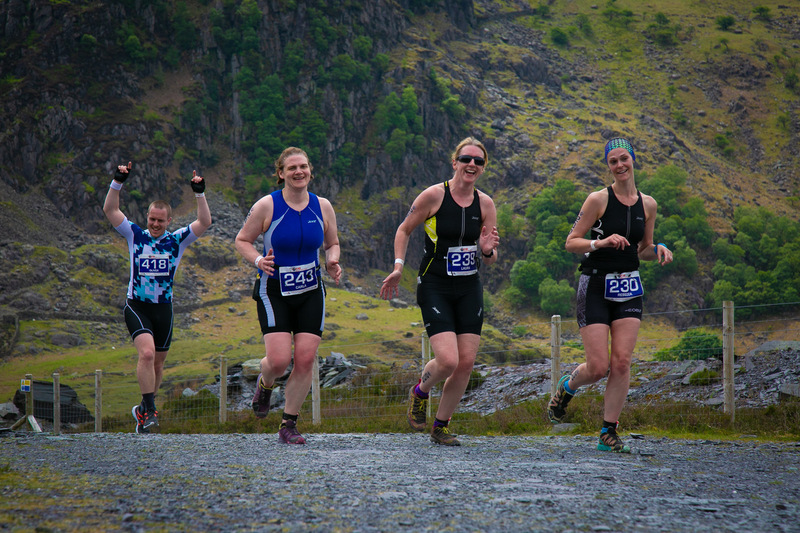 With the swim in the chilly waters of Llyn Padarn and a bike taking in the steep ascent and descent of Pen y Pass, a shin splittingly savage climb into the forests of Elidir Fach finishes the race. The Women’s race saw a tight finish with Rebecca Lodge taking the win by 31 seconds to Ruth Purbrook in a time of 1.19.14 and Third going to Hannah Bruce of Manchester Tri. In the Men’s race the battle for First was fought hard in the forest, with Scott Hill of RAF Triathlon emerging victorious in 1.13.12, followed by Dan Elliot in 1.14.53 and Jon Reilly in 3rd in a time of 1.15.38. This was the first time the podium has been taken by three Savage Athletes. Sunny conditions did not deter these runners. The all new Duathlon saw Stephen Abbott win the men’s race with a time of 01:22:05, while Rhian Roxborough of GOG Tri took first place in the women’s race with a time of 01:23:17. These are two names which are starting to become synonymous with Adventure Duathlon Podiums in North Wales. 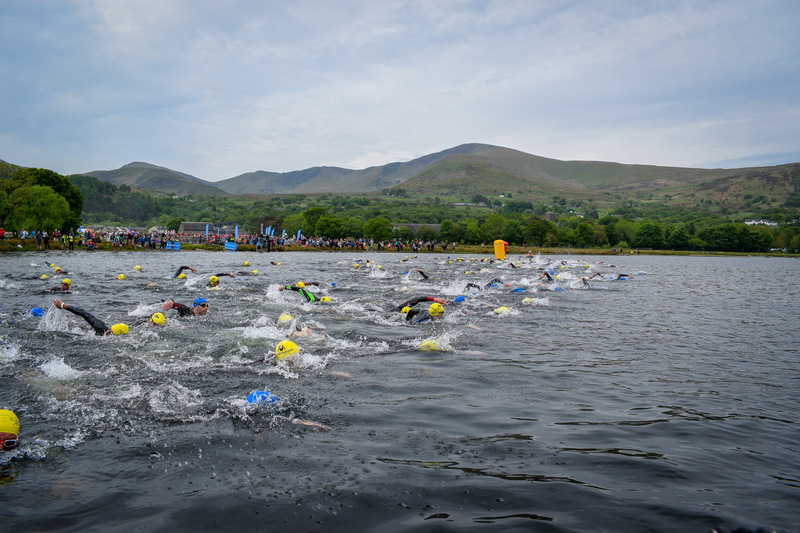 With north Wales waking to another warm and sunny day, the warm waters of Llyn Padarn welcomed over 900 ‘Classic’ Distance athletes to Day 2 of the Pedalcover Slateman. In the Classic Race, Under 23 Jack Hindle took the best part of 4 minutes of the course record to finish First in 2.24.45 a head Pete Dyson and Beau Smith. The women’s Classic saw the strong return of Aim High Champion, Suzie Richards. Taking the win in 2.45.44 and knocking 7 minutes off the course record. Cutting through the water, competitors in action. A growing Slateman Savage field saw some of the finest racing to date, with athletes, who by the event close, had taken podiums in the sprint and classic races, winning overall. The Savage titles were won by Scott Hill of RAF Triathlon and Ruth Purbrook of Full On Tri. 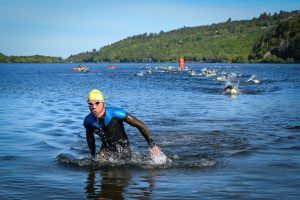 A spokesperson for Always Aim High, organisers of the Pedalcover Slateman Triathlon, said: “With 1200 triathletes taking part in fantastic weather, the 2018 Slateman has seen a host of new records set. We look forward to seeing our athletes back for the Snowman in August, and Sandman in September, but for now we look forward to the exciting city center racing in Cardiff in just five weeks time ”. “We’d like to extend a massive thank you to everyone of out athletes for joining us in addition to their families and friends. On behalf of everyone we’d like to thank our fabulous marshals who make sure the races flow so smoothly”. 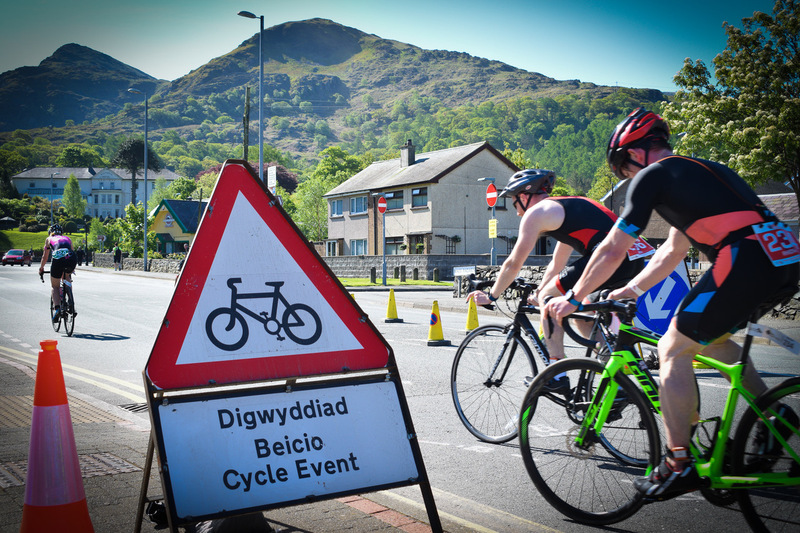 “We’d also like to thank Gwynedd County Council for supporting the race, as well as the residents of Llanberis and the local area, as well as the continual support from our race partners”.